Cassava is a tall semi-woody perennial shrub than can grow up to 7 m high, single to few stems and sparingly branching. The branchlets are light green to tinged red. The outer bark is smooth, light brown to grey. 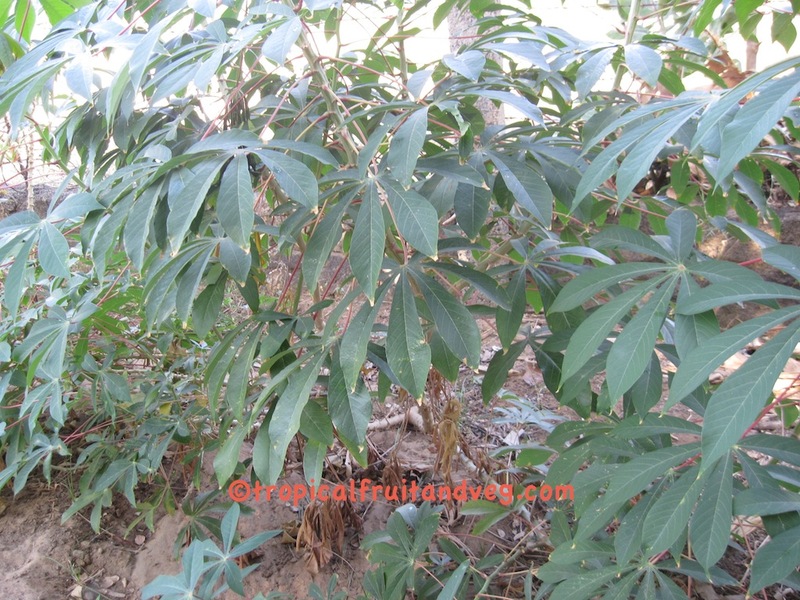 The cassava leaves are dark green above, light green underneath sometimes variegated with 7 narrow lobes in circular arrangement. The tuberous edible roots grows in clusters of 4 to 8 at the stem base, they are long and tapered, 5 to 10 cm in diameter at the top and 15 cm to 30 cm long. The firm flesh of the root is encased in a detachable rind about 1mm thick rough and brown on the outside and chalk-white or yellow inside. A woody cordon runs along the root's axis. Cassava is a tropical root crop, requiring at least 8 months of warm weather to produce a crop. Cassava is traditionally grown in a savanna climate, but can be grown in extremes of rainfall, however, it does not tolerate flooding. In drought areas it looses its leaves to conserve moisture producing new leaves when rains resume. Cassava does not tolerate freezing conditions and is most productive in full sun. 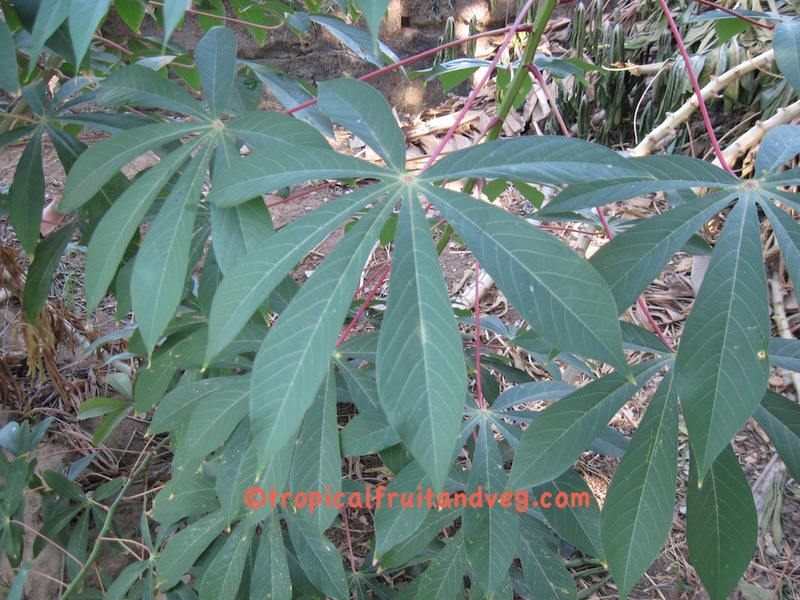 Cassava grows best on light sandy loams or on loamy sands which are moist, fertile and deep. It grows well on soils ranging in texture from the sands to clay and on soils of relatively low fertility. On very rich soils the plant may produce stems and leaves at the expense of roots. It tolerate a wide range of soil pH 4.0 to 8.0.